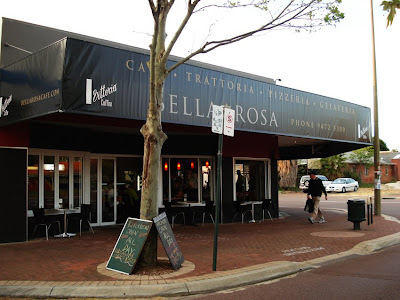 Bella Rosa used to be in Albany Hwy, Vic Park. But they have moved to Archer St, Carlisle. Always been curious how's the food is like because I passed by this restaurant nearly everyday after work and it is always crowded! You know there's one game really famous, sometimes they will show it on TV shows..I don't know what is it call but it's something like this. One person standing, looking up in the sky. One person passed by, curious and looked up the sky too. Then follow by the third and fourth. Yea, I'm one of them. I got curious with this restaurant and went in and try their food. While waiting for our food, we saw people kept coming in for take aways and dine in. Very very busy restaurant! We were thinking, this restaurant must be good ey, lot of customers! Within 10 minutes, our food is served. 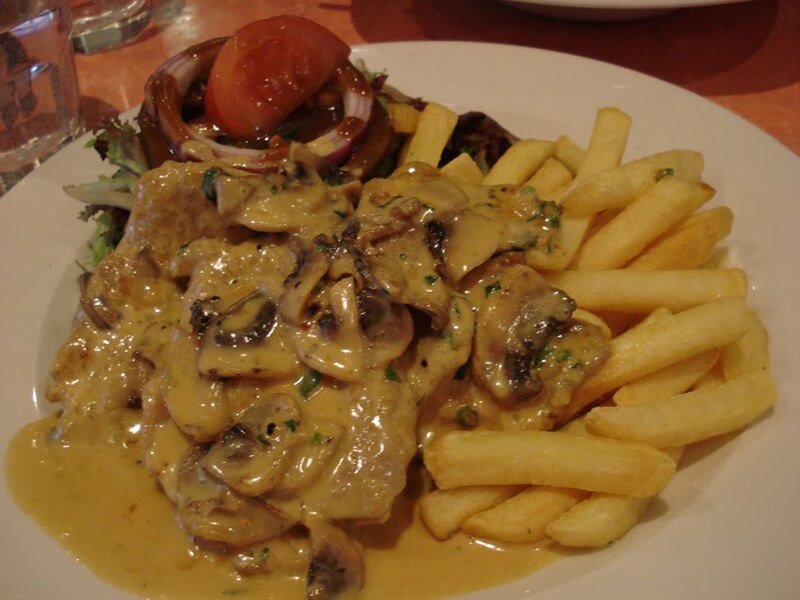 Veal Scallopini with Marsala sauce, Salad and chips. 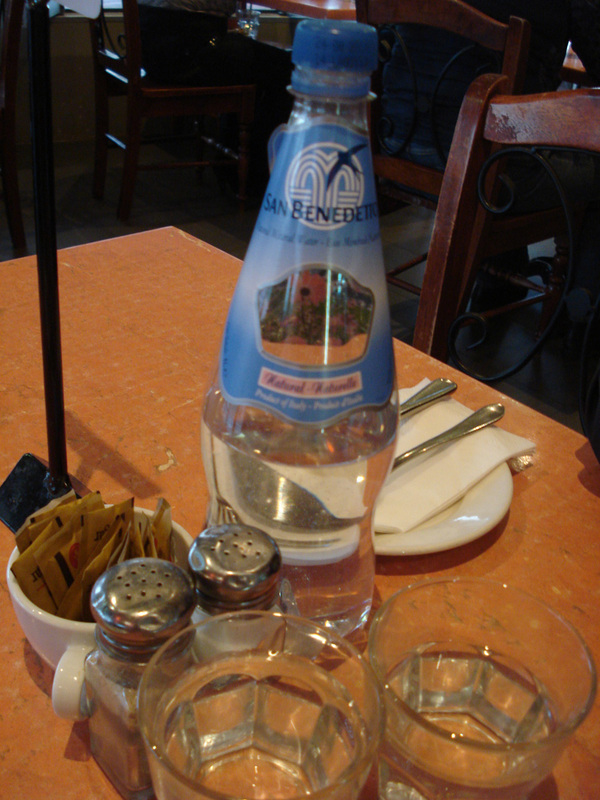 I had this and I thought it's not as good as the one at Catalanos. Probably I shouldn't even compare because I did not enjoy it... The meat was bland, the Marsala sauce was watery. Chips wa good though. Very generous serving too! 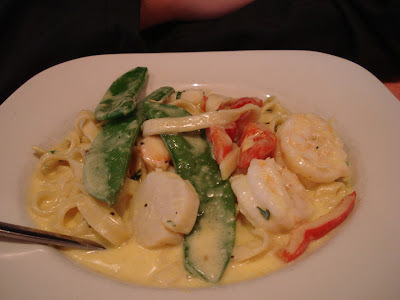 Scallops, Tiger prawns, snow peas and red capsicums in a creamy white wine sauce. Another dissapoinment. The taste doesn't blend, with the description from the menu, it sounds really good. Red capsicums in smooth creamy white wine sauce. Came out blanched snow pea, red capsicum, prawns and scallops. It's a waste of the food. Such a good ingredient but they didn't take the afford to make the dish well. I don't mean to be mean or anything, it's a very very busy restaurant and I have never see a single night with no customers, but I just thought the food can be nicer rather than big portion. Cafe Bella Rosa is probably a place for people who lived nearby or for quick and huge servings of food. Unfortunately not for a foodie.